"A unique, one-of-a-kind insider's look at the realities of appellate law, set against the fraught backdrop of a death penalty case. Carefully written and brutally honest, TWO LOST BOYS tackles both mental fitness and the rule of law with equal aplomb. Andy Hardy is an anti-hero that you both root for and empathize with, despite his seemingly abhorrent crimes. A must-read!" 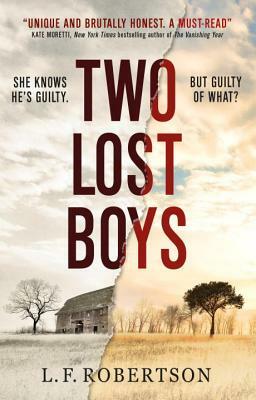 "From cell blocks to courtrooms, Two Lost Boys takes you on an exciting journey into the fascinating world of the guilty and the innocent. Can death row attorney Janet Moodie save her latest client from execution? This tale of family secrets and legal malpractice will grip you at every surprising turn. Suspense at its finest!" "A revelation - a timely and fascinating journey into a complex and troubling case of murder, betrayal and family secrets. A must-read for any reader interested in the moral issues surrounding the death penalty. You are sure to find yourself happily lost in its pages." Carole Buggé, author of Who Killed Mona Lisa? "Robertson delves into the world of the unsung heroes of the criminal bar: The lawyers who take the appeals of the death row defendants. Part cold case mystery, part legal thriller. Both the lawyer and the writer in me were pleased."